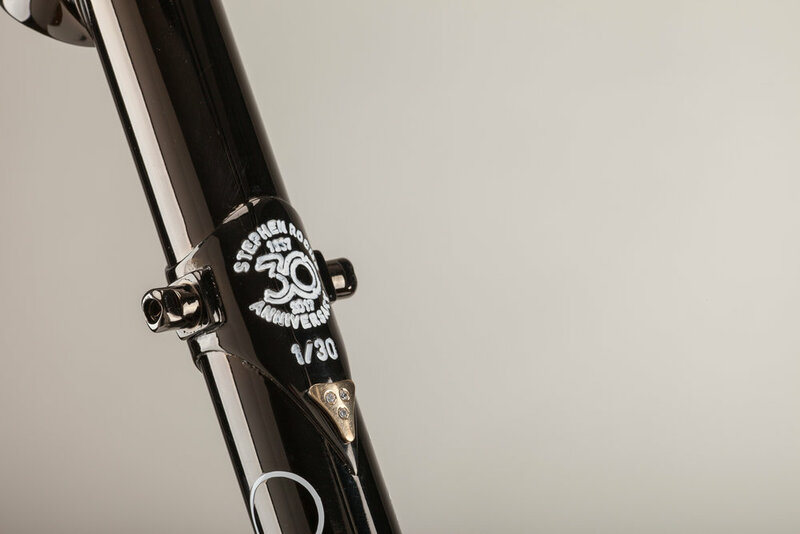 Officina Battaglin celebrates the 30th anniversary of the greatest title in professional cycling with a handmade steel frame named after the man capable of winning it. If you scroll down the list of pros who raced on Battaglin steel bikes from 1981 to the late 90s, there's a name that probably will take you back to some of your best sporting memories. Because when you arrive at the bottom of the list - provided that all the names are in alphabetical order - and see "Stephen Roche", you'll immediately recall one among the 1987 Giro d'Italia, the 1987 Tour de France or the 1987 Road World Championships. As one of the cycling fans who witnessed those events back in 1987, there's a good chance you have the Irish rider's name etched in your mind. Stephen Roche was arguably one of the most skilled riders of all times, and the highlight of his career is considered the greatest achievement ever in professional cycling. In 1987, he won the Giro d'Italia, the Tour de France, and the World Championships. The toughest - and therefore most prestigious - races of the cycling season, in less than 6 months. Only Eddy Merckx had managed to win the “Triple Crown” before, and no one has repeated the feat after Stephen Roche. In cycling, Stephen Roche is the name that represents doing what everyone thinks is impossible. The physical and mental effort that put him in the top spot of the podium of all the three most coveted professional competitions was unbelievable. It's been 3 decades since that amazing year. 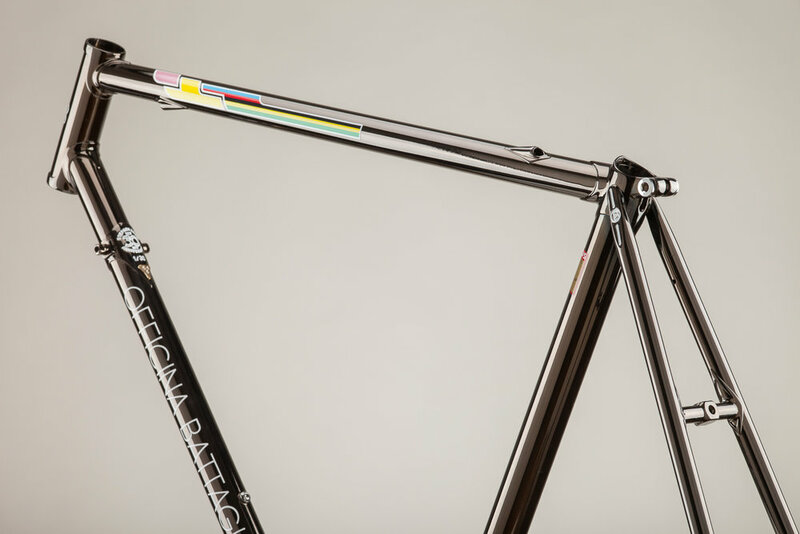 The Stephen Roche frame from Officina Battaglin is made specially for the man himself with the same process as 30 years ago, blending the traditional lugged construction with exclusive finishes. It's a tribute to the Battaglin racing legacy and a celebration of the champion's mindset, available in a very limited run of 30 pieces worldwide. Want to know how you can take part in the celebration of the 30th anniversary of the Triple Crown? Please fill out the form with your details and subscribe to our list to receive details and information about the Stephen Roche frame. We're sure you'll agree with us that the Columbus SLX tube set is among the things that marked professional cycling in the late 80s. After being the most popular steel to emulate the pros, it went out of production in the late 90s. We felt that such great racing heritage couldn't miss the celebration of the Triple Crown. Thanks to an exclusive partnership with Columbus we managed to bring a glorious past back to life! 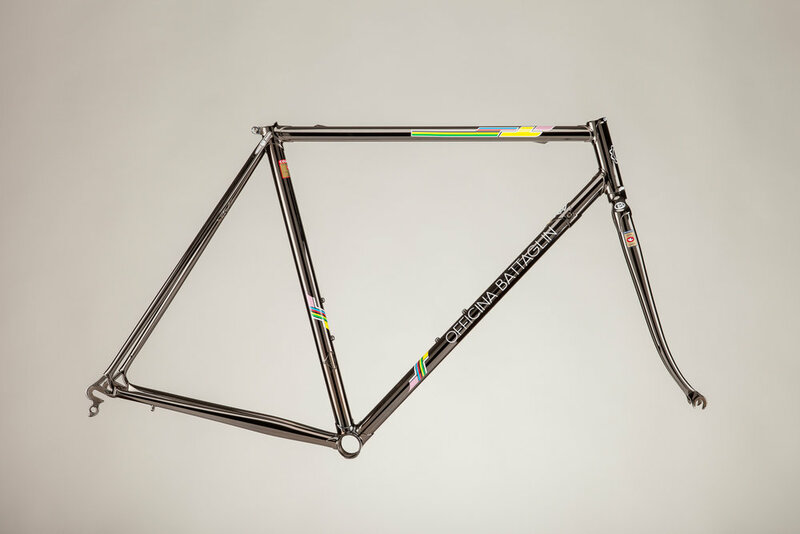 We're proud to say that the Stephen Roche is made from Columbus SLX tubing, the same tube set that was used to build the 1987 Battaglin bike. 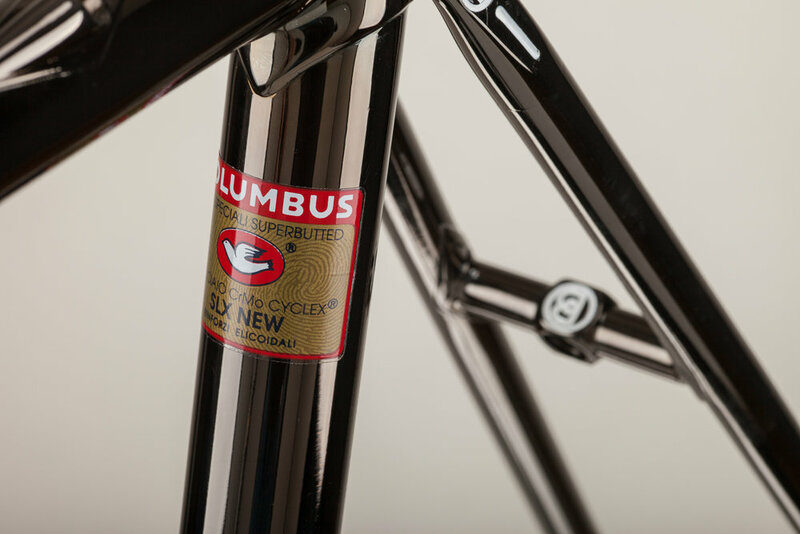 The double-butted Columbus SLX was all the Italian bicycle makers' choice when building bikes for professional use. 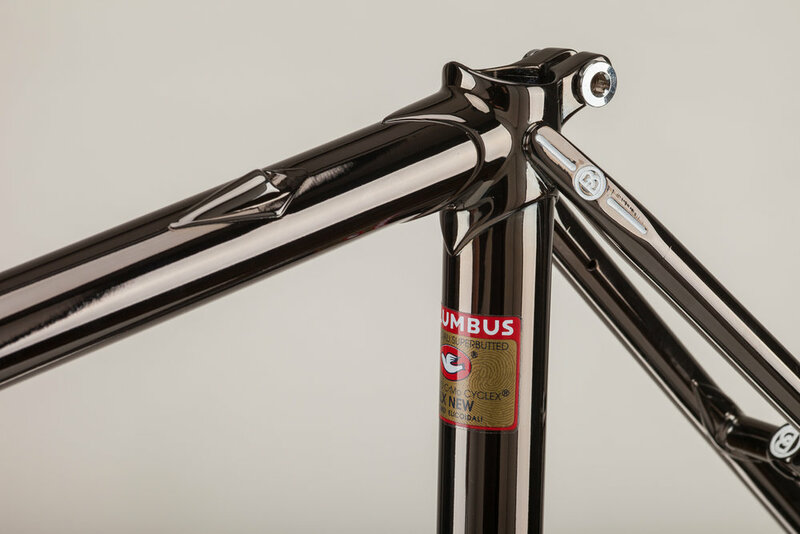 With the iconic helical reinforcements inside the end of the seat tube and the down tube, Columbus would produce steel tubes that were reinforced only in the bottom bracket area, where higher stress concentrated because of professional cyclists' powerful pedal strokes. At the time it was an advanced solution, which would make for lightweight steel bikes offering the highest level of performance. Now, Stephen Roche will be the only modern-construction steel frame made from Columbus SLX. The Stephen Roche comes with a modern black chrome finish that aesthetically sets it apart from every other lugged frame featuring Columbus classic tubing. The extraordinary black chrome is often found on high-end car and motorcycle parts, or in the decorative design field. We've chosen it to create a deep, reflective shine that contrasts with the colorful decal and the jewels nestled in the lug. The treatment takes place inside an Italian chrome-plating shop. Thanks to specific metals alloyed with the chromium deposit, the operator covers the frame with a mirror-like black layer. 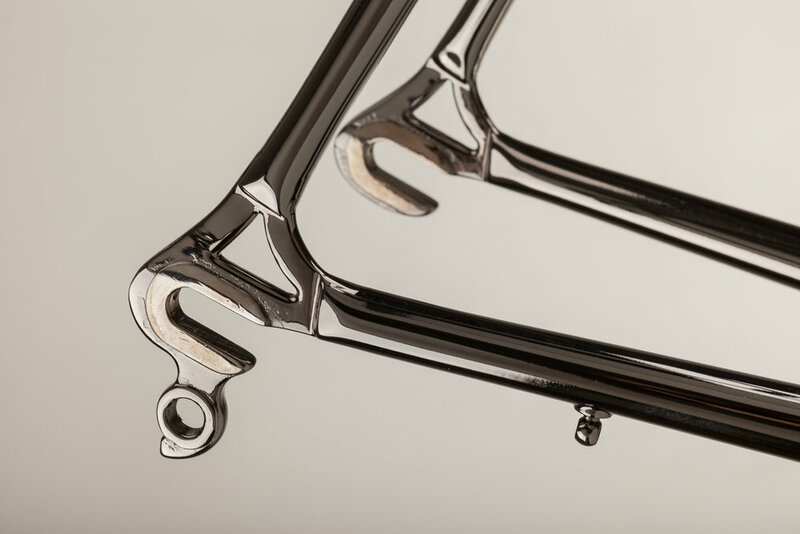 The black chrome is a corrosion-resistant coating that will preserve the beauty of the frame. 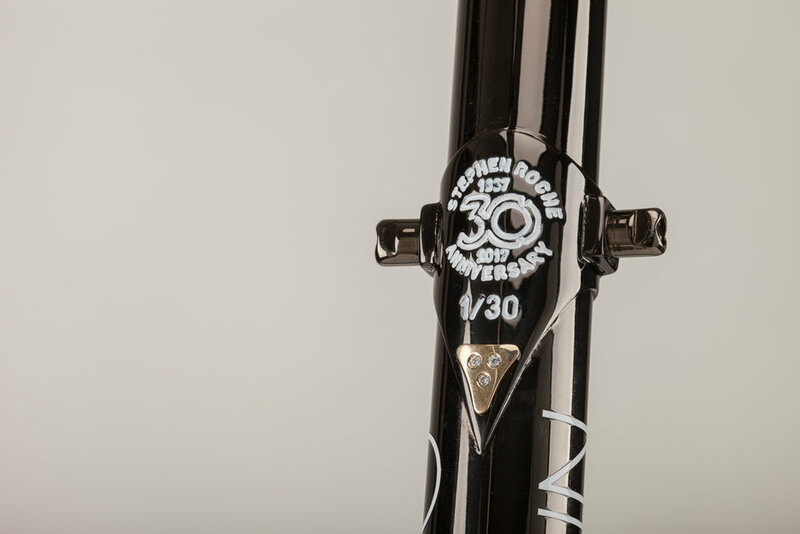 After Stephen Roche had won the Triple Crown, Battaglin designed an iconic decal for all the road bikes which reproduced Roche's winning machine. While red and blue were pretty common colors in the late 80s, thanks to the "87 World Champion" decal it was impossible for a keen cyclist not to recognize the origin of the bike. We've looked for the original decal in our archives, and we've gone through the process of redesigning it. We wanted the Stephen Roche to retain a classic touch, while showing you've joined the 30th Triple Crown anniversary celebration. The new version brings together the colors associated with the 1987 victories: pink for the Giro, yellow for the Tour, and the rainbow pattern for the World Championships. Every crown has its jewels. The downtube of the Stephen Roche features a steel lug with real jewels nestled into it. Italy is famous all over the world for its goldsmiths, and that's why we wanted to combine frame building with another Italian tradition. A tiny 750/1000 gold plaque encloses three Top Wesselton round brilliant cut diamonds, evoking the three victories. Please fill out the form with your details and subscribe to our list to receive the Stephen Roche Brochure.